Why Use Human Primary Cells? 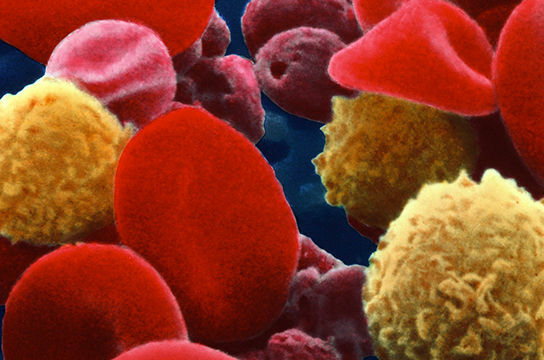 Human primary cells are cells isolated directly from tissues including blood and bone marrow. These cells are an important tool for in vitro cell-based assays or for use in the generation of in vivo models such as xenograft or humanized mice. The use of human primary cells increases the physiological relevance of data obtained from cell culture systems and they are increasingly recognized for their importance in the study of biological processes, disease progression and drug development. Read more about the importance of using human primary cells in your research. 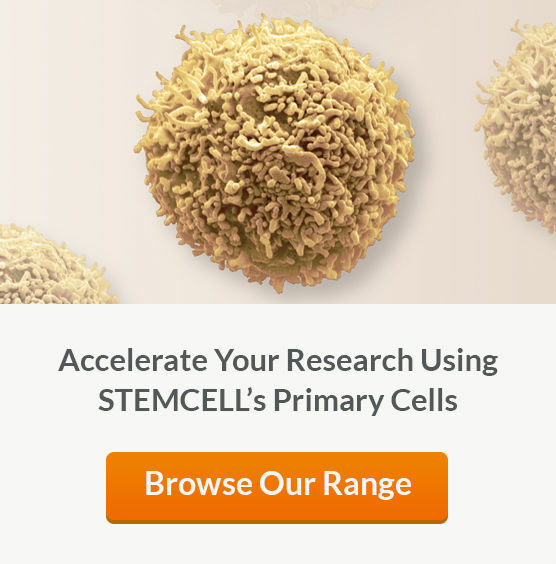 A reliable source of human primary cells ensures continuity in your research and allows you to start your experiments according your schedule, without being restricted by the availability of tissue. Avoid the challenges often associated with obtaining human biological material by using fresh or cryopreserved cells that are ready-to-use upon receipt. When working with human biological material, variability between donors or collections over multiple timepoints can be expected. Reduce the time and effort associated with validating cells from different lots at the start of each experiment by reserving entire lots of cryopreserved cells while you test them in your assays. This ensures that your cells are ready for your next experiment, without the need to pre-screen again. Contact your local Sales representative or techsupport@stemcell.com to learn more. Human primary cells are shipped with a Certificate of Analysis guaranteeing Quality Control testing results including cell count, viability and purity. In addition, cells are collected using Informed Consent Forms (ICFs) approved by either the Food and Drug Administration (FDA) or an Institutional Review Board (IRB), ensuring ethical sourcing while protecting donor anonymity. Donors are screened for HIV-1, HIV-2, hepatitis B and hepatitis C with additional screening available upon request. *Certain products are only available in select territories. Please contact your local Sales representative or the Product & Scientific Support team at techsupport@stemcell.com for further information. Why Use STEMCELL's Human Primary Cells? PHYSIOLOGICALLY RELEVANT. Choose cells that are more physiologically representative of cells in vivo. ACCESSIBLE. 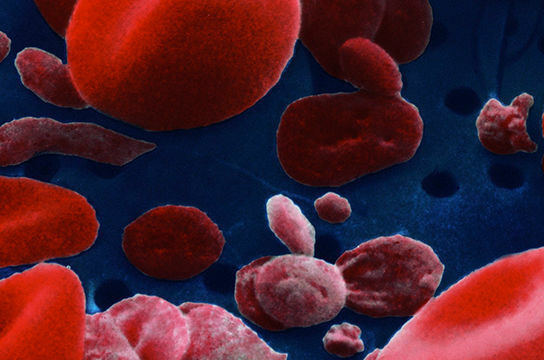 Obtain large lots of rare cell populations including hematopoietic stem and progenitor cells. CONVENIENT. Start your experiments on your schedule without being restricted by the availability of tissue. FLEXIBLE. Reserve large numbers of cryopreserved cells while you test them in your specific applications. EFFICIENT. Using isolated primary cells reduces the time spent collecting and culturing primary cells. Fresh cells are shipped at room temperature using standard boxes, with certified temperature boxes available upon request. Cryopreserved cells are shipped using dry ice, with liquid nitrogen dry vapor shippers options available upon request. Donor Screening: Donors are screened for HIV (1 & 2), Hepatitis B, and Hepatitis C.
Cryopreserved products are shipped with negative test results from donor screening that is done within 90 days of collection. If the donor was screened within 90 days of donation the product will be shipped with negative test results from donor screening. If the donor was not screened within 90 days of collection, a test sample will be taken at the time of donation and the product will be shipped before the screening results are available. In the unlikely event that a test result is positive, the customer will be contacted as soon as possible (usually within 2-4 business days from the time of shipment). 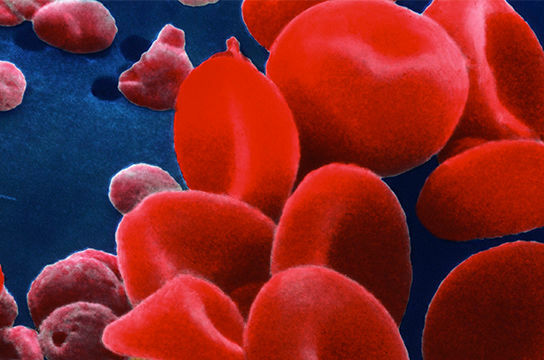 Donor Screening: Testing for HIV-1 and 2, Hepatitis B, and Hepatitis C is performed on a maternal blood sample and/or on a sample of the donated cord blood. Shipment date of fresh Leuko Pak or whole blood orders is subject to change based on the ability of donors to meet procedural requirements during collection or on changes in donor availability. Collections will be rescheduled as soon as possible according to customer requirements. STEMCELL does not test for infectious diseases other than those listed above and the testing that is done cannot completely guarantee that the donor was virus-free. Therefore THESE PRODUCTS SHOULD BE TREATED AS POTENTIALLY INFECTIOUS and only used following appropriate handling precautions such as those described in biological safety level 2. When handling these products do not use sharps such as needles and syringes.